Cheapest Code Signing Certificates Get Symantec, Thawte, Comodo, Digicert & Sectigo Code Signing Certs at Cheap Price. #Protect your Software With Digital Signing Certificate. #Increse Software Download Rates By Eliminating Security. #Gives your software good reputation in Microsoft SmartScreen Application Reputation filter. #Digitally sign .jar files for desktop platforms plus Netscape Object Signing. Get Symantec, Thawte, Comodo,, Sectigo & Digicert Code Signing Certificates at Cheap Price. We are at CodeSignCert offers cheapest code signing certificate for all the platforms. We are a big reseller of Symantec, Thawte, Comodo, Sectigo & Digicert code signing certificates. As we are a reseller of all major brands, we purchase the code signing certificates in bulk and offering you with great discount price. If you are a software developer, publisher, app developer or working with some highly confidential development task, you are able to judge the value of digital signing certificate. It’s always creating a secure bridge between you and your customers. 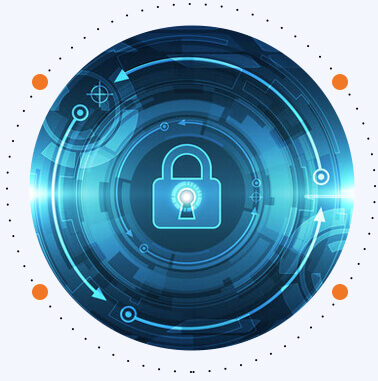 When it comes on verification of software codes and other digital objects, Comodo Code Signing provides certified and extremely complacent solutions. With Thawte Code Signing, you can be rest assured that your content is 100% secure even if it is on internet and never before experience. Symantec Code Signing Certificate offers the best technology for bringing a highly-secured protection for codes and contents to its client with a promising nature. Comodo EV Code Signing brings to your business a high-level of protection and authentication to your business name with end-to-end proficient solutioning. DigiCert Code Signing brings about a revolution with advanced level of protection for building trust in clients and other digital object’s security. Sectigo Code Signing provides an ultimate level of satisfaction to its customer with its highly authenticated digital signature and integrity of the client as priority. Core Compatibility & FeaturesCore compatibility and features includes in every code signing certificate. Code Signing Certificates are easy and quick solution to sign digital signature to any software code, content and mobile applications. It protects software publisher software code and reputation on the Internet. Code Signing Digital Certificate is just a peace of mind to users that they are dealing with secure and safe software publisher or developer on the Internet. A code signing is the bridge of success between user and software. Code Signing contains 99.99% compatibility of all the latest web browsers and mobile devices. It assures users protection on any web platform which leads to the latest versions on the Internet. As you install a Code Signing Certificate in any of your browser- Internet Explorer, Firefox, or Chrome, you may want it to use in another place. You may want to export the certificate to another computer or take a back up for the same. Code signing is a security key and private essential quality that is required in OS X, to certify your app. The properties installed by this code signing is that if you signed in the application once in your system, then the signing certificate should be able to detect the regarding change of the app. Are you confused about how code signing certificate works? Code signing is an important way to show that your code is legitimate.